> Close Reading > Close Read Passages > Tool or Toy? 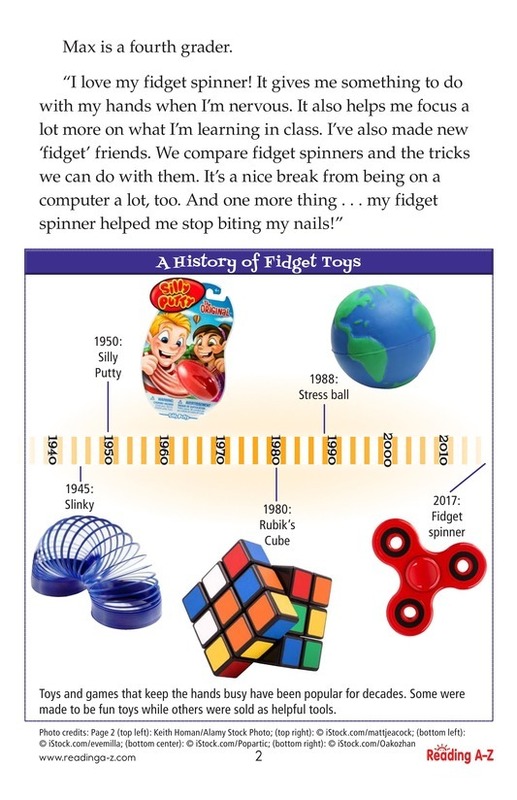 A teacher and a student present their views on fidget spinners, which became incredibly popular in 2017. 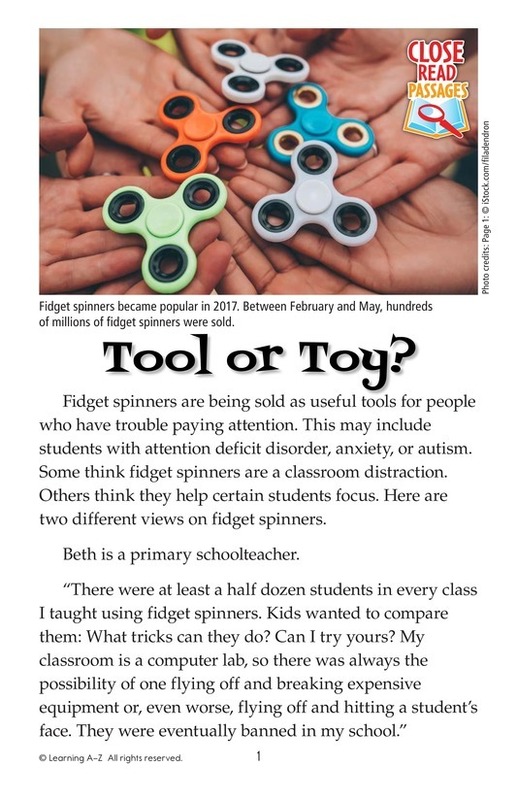 While some argue that the spinners are a useful tool for students, others say they are simply a distracting toy.